You’ve waited long enough through the brisk winter months in St Paul, MN. Now that it is springtime, you are itching to get your jet ski back in the Minnesota waters. Year after year, it never fails that one of our boat lovers gets their jet ski up on their trailer ready to head to the water, quickly realizing that there is damage that needs to be addressed. 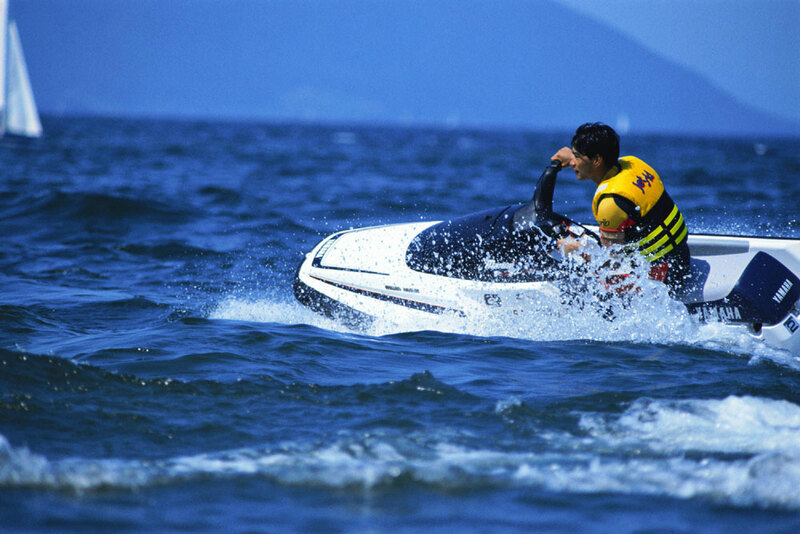 Lucky for you, Anchor Marine Repair is right around the corner, and we specialize in jet ski repairs. Our dedicated repair professionals can evaluate and repair your jet ski to better shape than it was in before the accident occurred. Although a jet ski may be smaller than a boat and has less controls, this type of watercraft can still be difficult to repair. In fact, there is not as much room to work with around the engine and other vital parts of the jet ski, making it increasingly more difficult than many individuals expect. Rather than wasting the time and frustration trying to repair the jet ski on your own, put it in the reliable hands of our jet ski repair team. We specialize in repairing all types of jet ski’s including the popular brands such as Kawasaki, Yamaha, Seadoo, Polaris and Honda. We can handle regular maintenance, engine repairs, paint jobs, and any fiberglass or external repairs that you may need. Quickly, we realized that keeping our customers happy is the key to running a successful business. So, we decided to take the necessary steps to ensure that our clients receive the best boat or jet ski repair service around. Not only do we repair your jet ski to better than pre-accident condition, but we also make the entire repair process more simple for you. Struggling to find a way to get your jet ski to our repair shop? No need to worry because we offer complimentary pick up and drop off service as long as you are within a 250 mile radius of our facility. All of our estimates and consultations are free, so you are never locked into any services before the repairs take place. Additionally, our 10,000 square foot workspace keeps your jet ski protected while it is visiting our location. No job is too big or too small for our staff, as we have seen just about all the repairs you can think of over our 45 years of combined repair experience. If you have pulled your jet ski out for the spring and noticed some unwanted damage, it’s important to call the experts. Team up with our St Paul, MN jet ski repair specialists at Anchor Marine Repair today by calling (763) 972-3540. We are committed to being your one stop repair shop for all of your jet ski needs.